Qr Codes for Real Estate can be very helpful to allow you to drive people to the messaging you are trying to convey! We have automatic QR codes that we generate for every property listing and also a custom QR code generator that allows you to add unlimited codes for five different applications. To drive traffic to your Personal Website, Landing Page, other Website...etc. To create a contact that someone can save on their phone. Put them EVERYWHERE you market along with our text message call capture codes. In your email signatures, all your online, onsite or print marketing. Worse case, QR codes make you look tech savvy even if the customer doesn't use them and let's face it, you never have a second chance to make a first impression. For our Property QR Codes we link directly to the mobile version of the Property Specific Website. 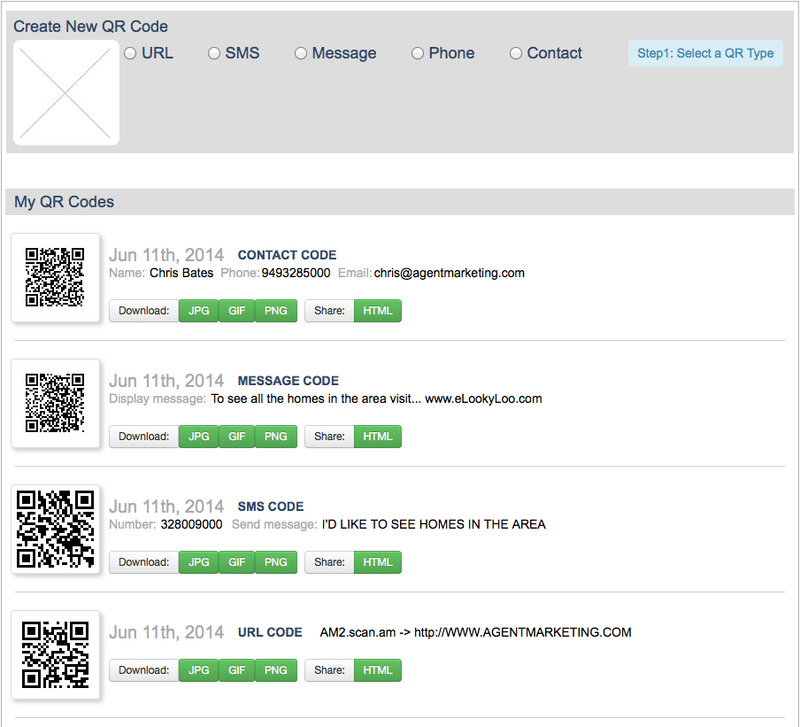 In fact we have four versions of QR codes for every piece of real estate in our system. Why? So that you can track where your traffic is coming from. We are wanting to help identify whether a potential buyer or seller saw the marketing from your sign, newspaper, flyer or postcard. Imagine if you were the buyer and were able to access all of the property information including gorgeous pictures while sitting in front of the listing or while sitting at a coffee shop looking through a magazine or newspaper. Very powerful modern marketing technique.